The purpose of military supply lines is to rapidly and efficiently transport goods from one place to another. A primary goal is to speed up this process and make it more effective, while still maintaining the quality of the goods and the safety of the transporters. 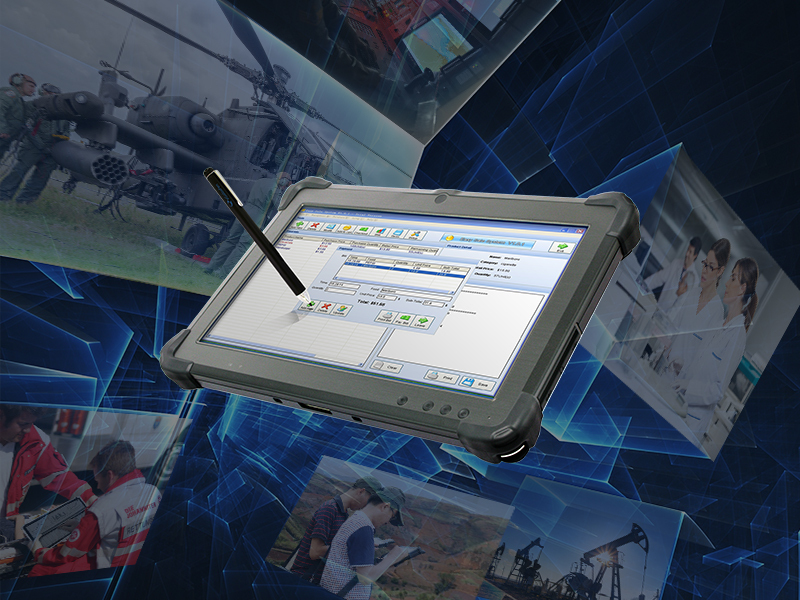 With rugged tablets, military officials can successfully track their shipments with real-time data and communication. From origin to destination, shipments can be tracked and handled safely. Whether in the office or on the field, portable tablets can follow both employees and shipments from start to finish. Rugged, sturdy designs that can withstand the pressures of travel and loading/unloading crates and packages. Confirmation and tracking for shipments can be displayed online, so all people involved have a good idea of their delivery status. Orders can also be completed digitally, to reduce the hassle accompanied with papers and physical documents. Barcode and RFID scanning to organize, sort, and keep track of shipment contents without having to repeatedly open them. Rugged tablets don’t have to be limited to the warehouse or on the road, however. They can be mounted, carried, or used in office or home settings as well. Whether the tablet is being used inside a forklift, secured to a wall for check-in, check-out, or passed off from one employee to the next, it is made with the ultimate portable design. Drivers can stay in touch with their employers no matter where in the country they are, and rugged tablets are also designed to withstand the worst conditions. From cold snow or rain to extreme temperatures, a ruggedized tablet is made to last. With long battery life and GPS functions even in airspace or on back roads, employers can keep close eyes on their shipments wherever they go. Whether a logistics problem involves 5-15 personnel or over a thousand, tablet technology makes it easy to keep track of all of them and their assignments. No job is too small to be made more efficient, and real-time communication can assist with deliveries, pickups, and the travel along the way. Paperwork, inaccurate maps, and lost/late deliveries can be avoided when the process becomes completely digital. By taking the next step in streamlining supply lines and improving rapid response and accurate logging, progress can be ensured with a few taps to a touchscreen of a purpose built rugged tablet. As the modern Automated Machine Guidance (AMG) begins to gain traction, many construction companies and projects are beginning to forego physical stakes to take on “stakeless” construction projects. Mostly used while building or fixing stretches of road, this method utilizes technology to save time, money, and manpower. However, this method requires technology that is capable of keeping up with both workers and planners. Computers and smartphones were not compatible with the projects, and consumer-grade tablets didn’t hold up to the stress of construction environments. This challenge requires a single solution: rugged technology. More specifically: rugged tablet technology. Tablets are ideal for mobile situations. With their intuitive slate-shaped design, user-friendly format, and strong processing power, they manage to combine mobility and usability to create the perfect device for both casual and professional situations. However, rugged technology takes these devices one step further. Rugged tablets are designed from the bottom up for hard-use situations. From the hardware to the casing, they are built to withstand demanding environments, while still keeping up technologically. With protection against dust, dirt, sand, and even water, they are impervious to many threats that may cause malfunctions in a consumer-grade device. As well as having excellent debris-protection, rugged tablets are also well-protected against extreme temperatures, as well as drops and falls. These construction ready tablets are also outfitted with 3G/4G connectivity, dual-core processors, built-in cameras, and LED backlit screens that can be used in both dim and bright environments. They are also compatible with a number of extensions and software, making it easy to integrate them with any existing systems. Many companies that have already invested in professional-grade tablets have already reaped the benefits, both financially and on the field. Both in design and in performance, rugged tablets have shown that they can withstand the stresses of a professional construction setting, while still improving the working situations for employees. Implementing technology into construction situations has been a successful experiment that has not only boosted efficiency and speed, but also reduced mistakes and on-site accidents. For “stakeless” construction projects, a team outfitted with rugged tablet technology can be invaluable to the project as a whole. GNSS capability takes on site construction to a new level by streamlining traditional processes and inventing new ways to complete tasks. 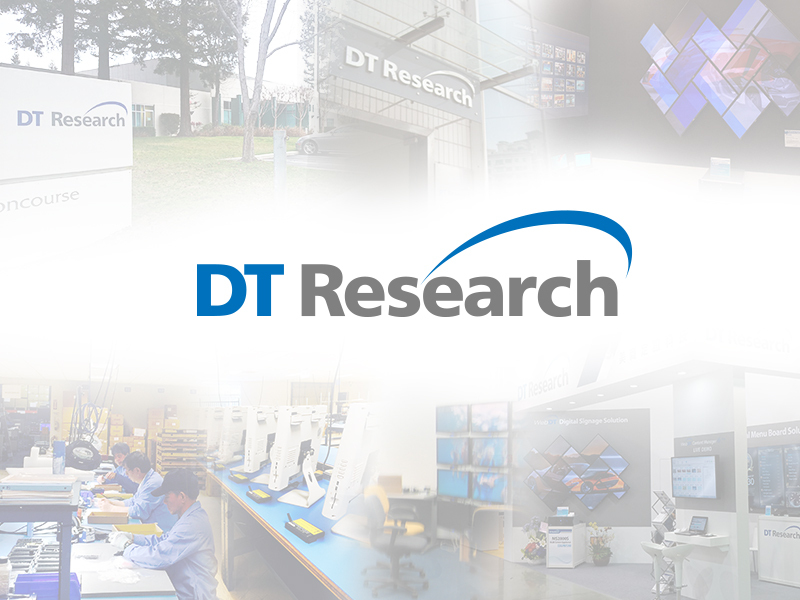 DT Research specializes in anticipating needs in various verticals and creating the ideal products to meet and exceed expectations. Each line of products is infinitely customizable, able to be scaled up as needed, and provides the best end user experience possible. The Rugged Tablet is designed for durability, portability, and security in settings where being tethered to a desktop isn’t a viable option and laptops are too fragile and bulky. They perform indoors, outdoors, and in harsh environments, providing a larger than usual tablet screen, a shatter resistant exterior, and shock resistance built in to every device. Security features allow for varying levels of access with built-in card readers that recognize levels of clearance. GNSS Tablets come standard with touch screens, high performance processors, and all the tools required for fast, accurate mapping, surveying, and positioning as well as many GIS applications. Mitigating the issues of lost paperwork, misplaced plans, or removed flags, information is stored safely in digital form, and can be quickly retrieved, reviewed and shared in real time. Options allow for three views per screen and allow overlays to be turned into 3D representations of actual blueprints. Our rugged tablets can be taken into the field or used in the office, delivering reliable performance whether mounted in a vehicle or forklift or in the hands of field staff. Medical Cart Computers make data collection, input, review, transfer, and collaboration both mobile and secure. Hot-swappable batteries ensure there’s no interruption of patient care and no need to remember to plug in carts. With all-in-one efficient designs, these Medical Cart Computers offer touch screens adding to ease-of-use, high speed processors for top performance, and anti-microbial coating add an extra layer of protection. More uses for Rugged Tablets exist in the world of high speed industry, from manufacturing to warehousing to the logistics of transport. Streamlined efficiency means no wasted trips back and forth carrying clipboards from field to office – data can be captured, transmitted, and updated immediately. A tablet dropped, stepped on, or knocked off of a truck doesn’t mean loss of data or functionality. Whether it’s a need for durability, potential to safeguard lives on the line in a military or hospital setting, a need for high level mobile security on a government level, streamlined efficiency in an industrial or manufacturing environment, DT Research provides the highest level of quality and functionality in the rugged tablet market.